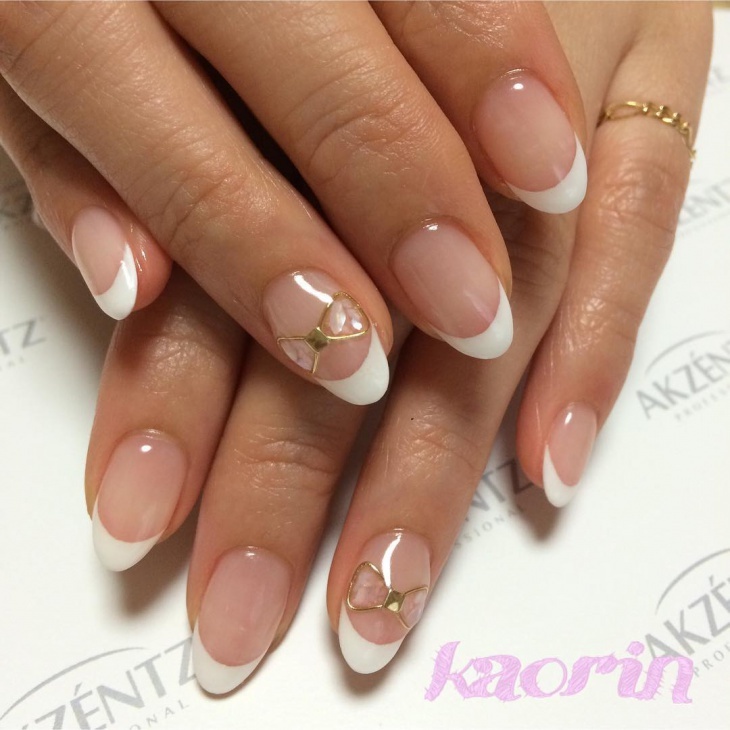 The French nail design has that classic timeless appeal to them. 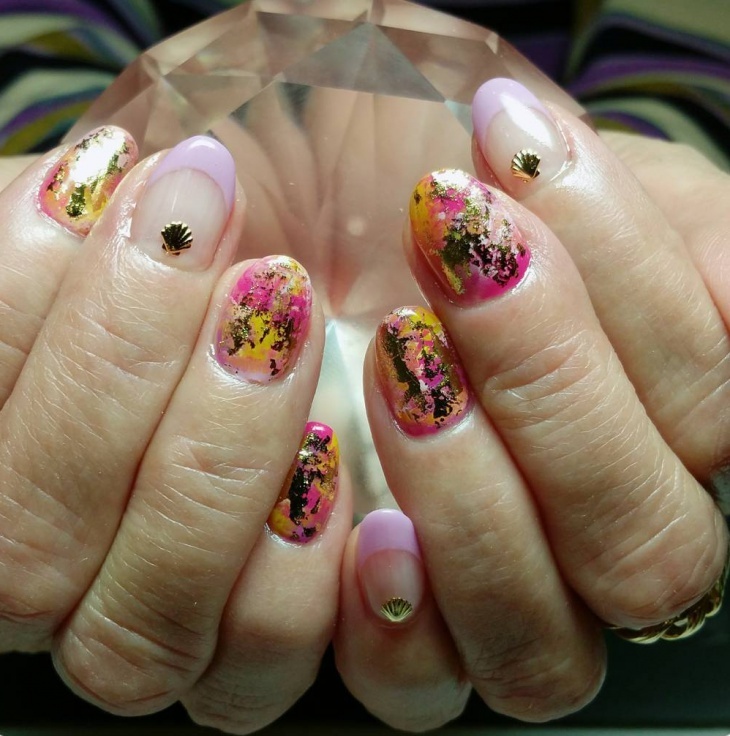 It is style understated with ladies world over never tired of getting their nails done up in the French way. 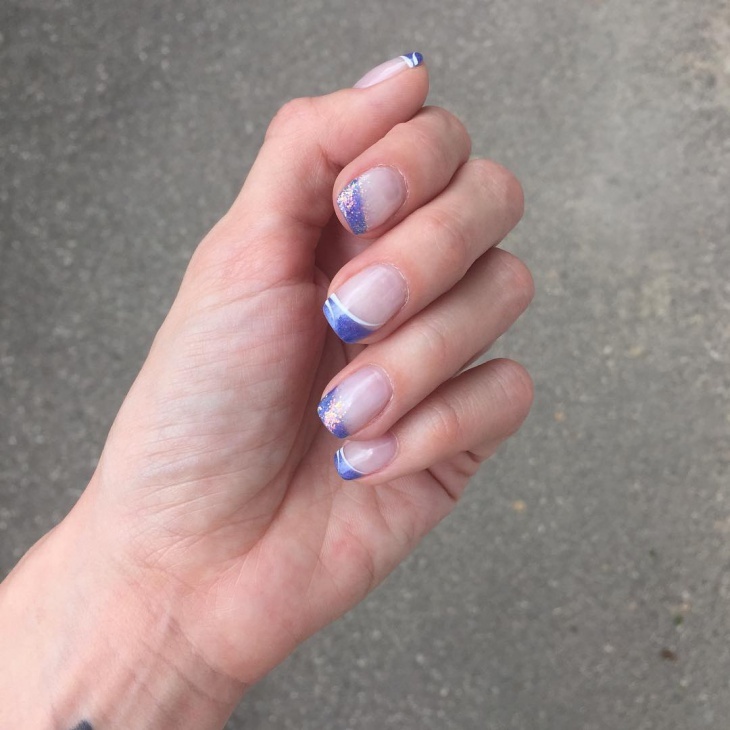 A nice thing with the French mani is that it can be the perfect accompaniment for just about any occasion, be it in the office or a wedding. 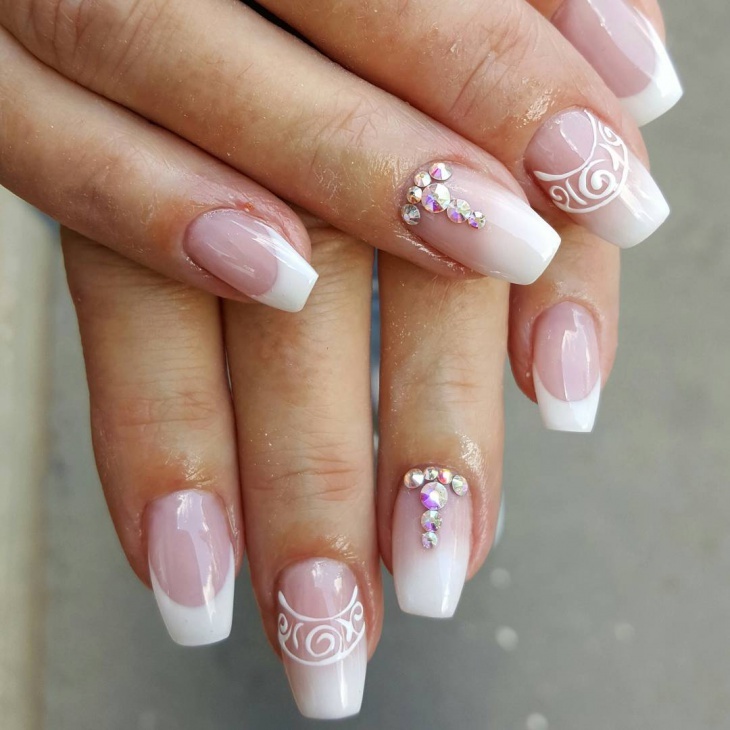 Another unique aspect of the French nail design is that it can be accomplished right in the home without requiring expensive visits to the parlour. 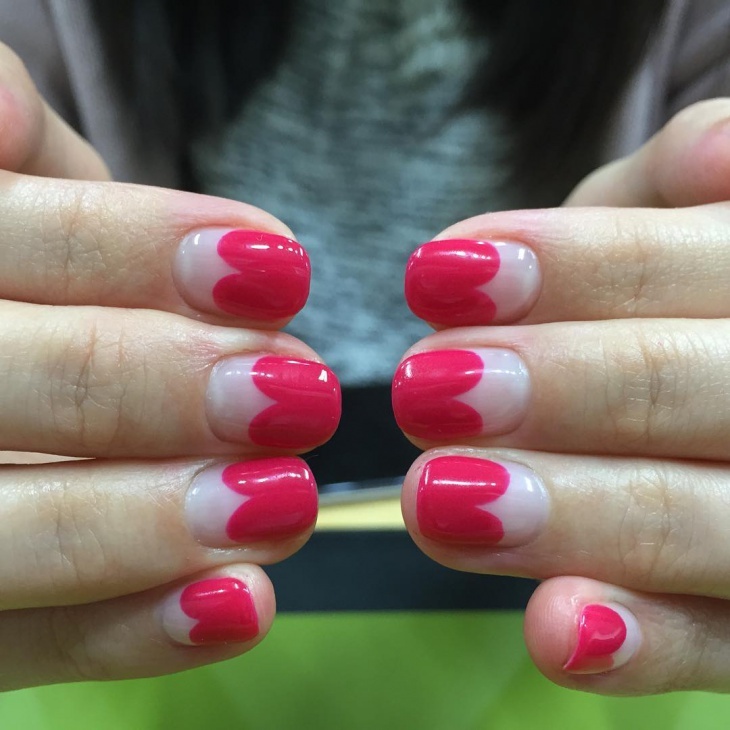 This cheery little nail art looks perfect on French tips that are coated with red paint on the pointy tips. 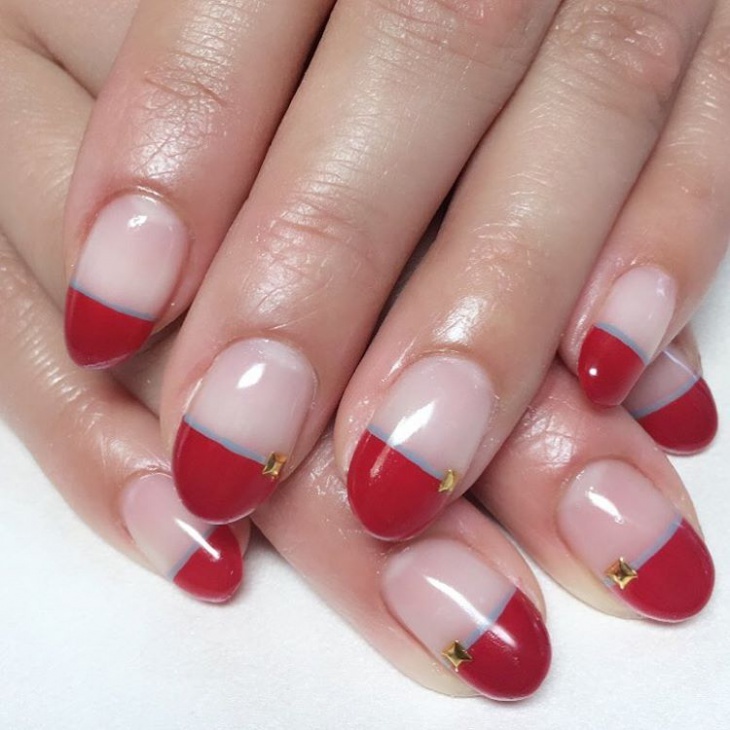 This nail design showcases the charm of the red palette on manicured nails. White and yellow are subtle shades that are reminiscent of the spring season. 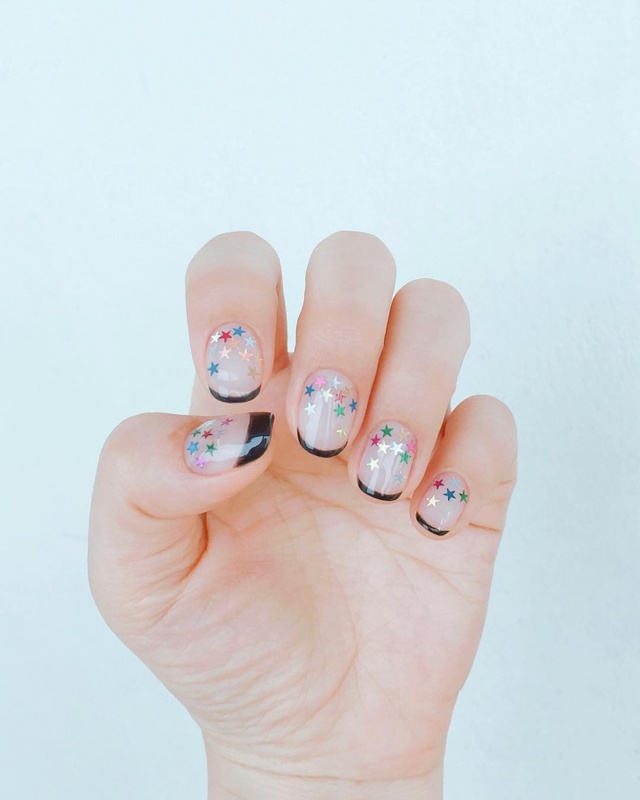 So with this floral nail art you can recreate the effect of spring right on your white tips nails. 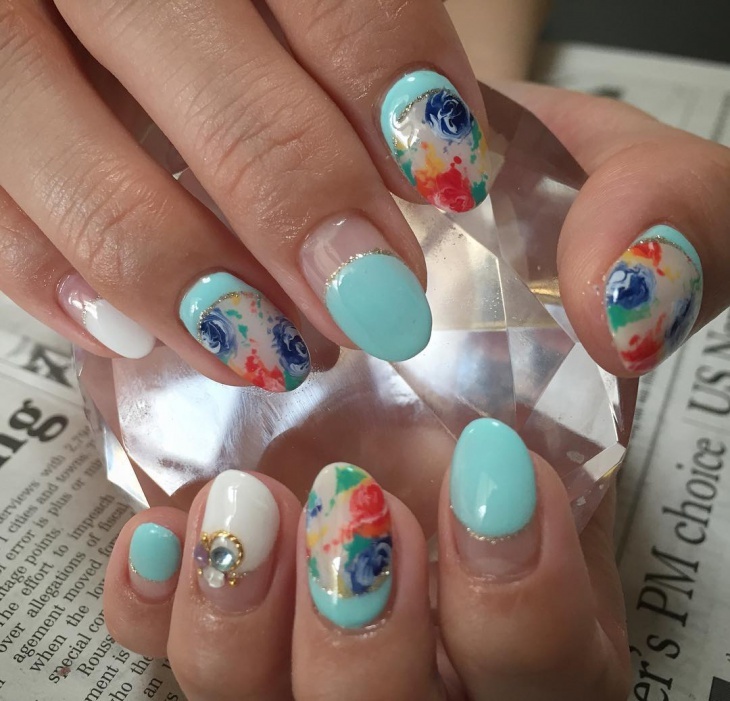 This nail art is all glittery and colourful which makes it perfect to try on an evening hangout. 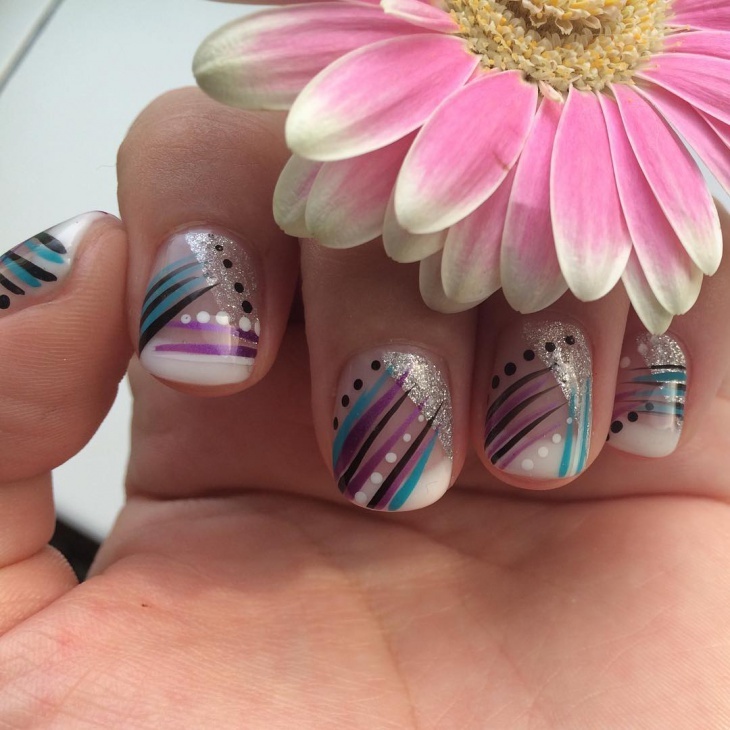 This design looks great on white tips since it makes use of vibrant colours and adds fun to your nails. 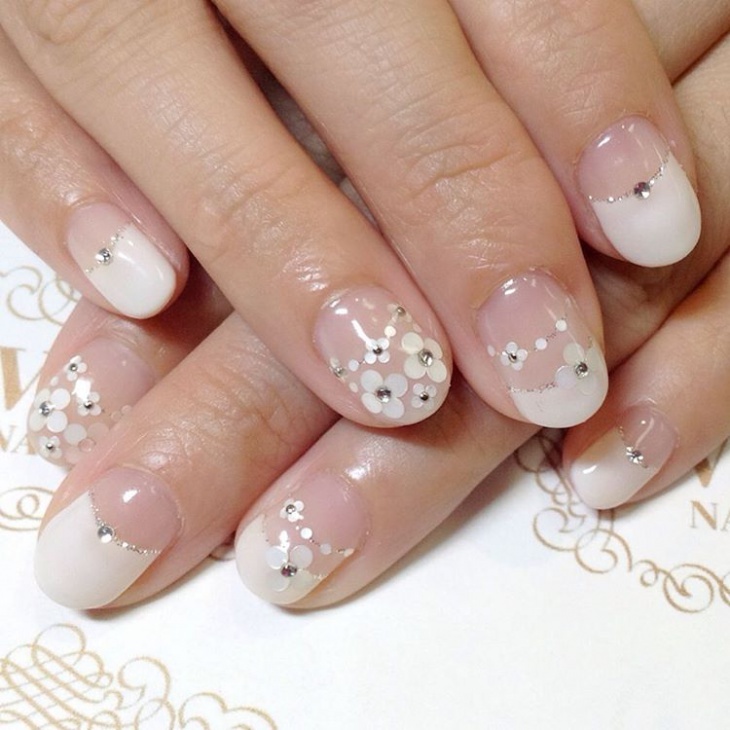 This design looks very pretty and charming, thanks to the cute pink shade used in the nails. You can come up with interesting shapes and patterns in the pink nail paint and create magic on your nails. Polka dots are a great choice for nail art as they are easy to draw and make your nails look cutesy. 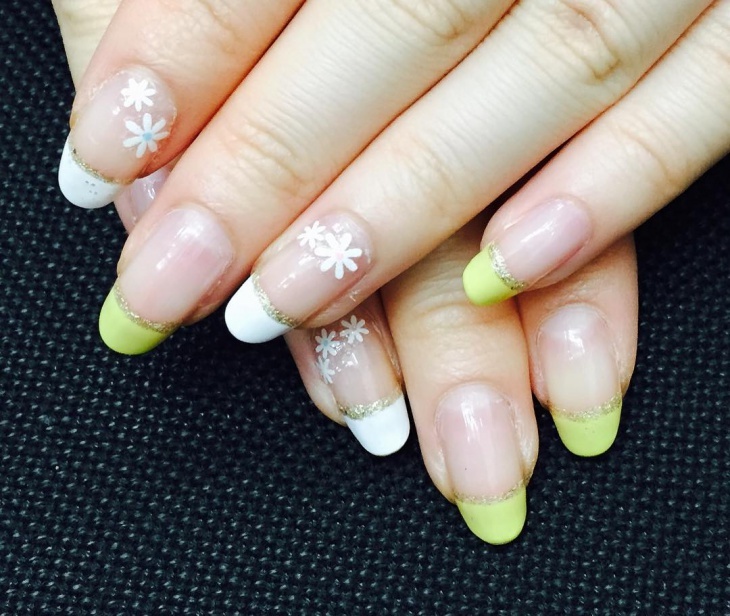 You can use some cute nail accessories to create daffodils and other cute flowers on nails. 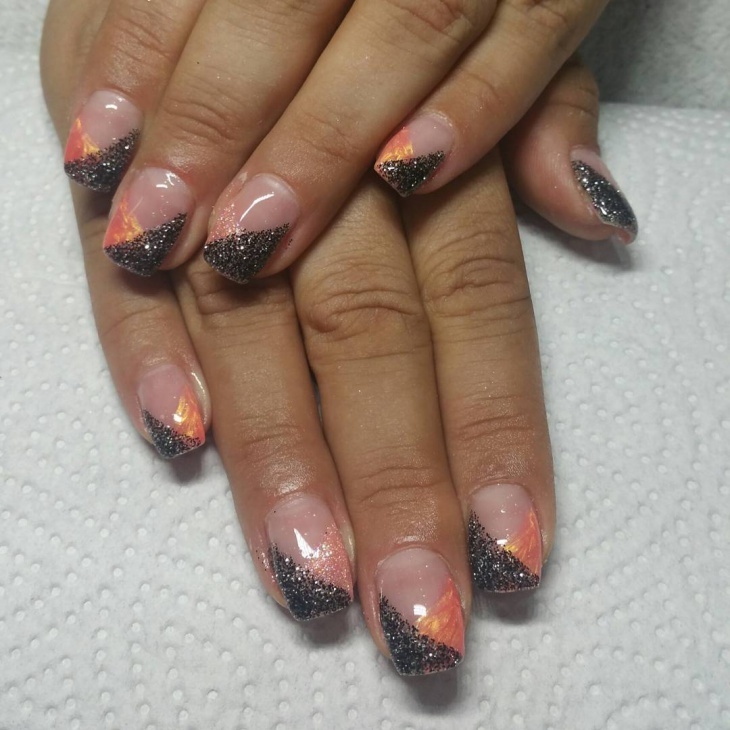 This glittery nail art design look great with the crystals that are embossed on them. 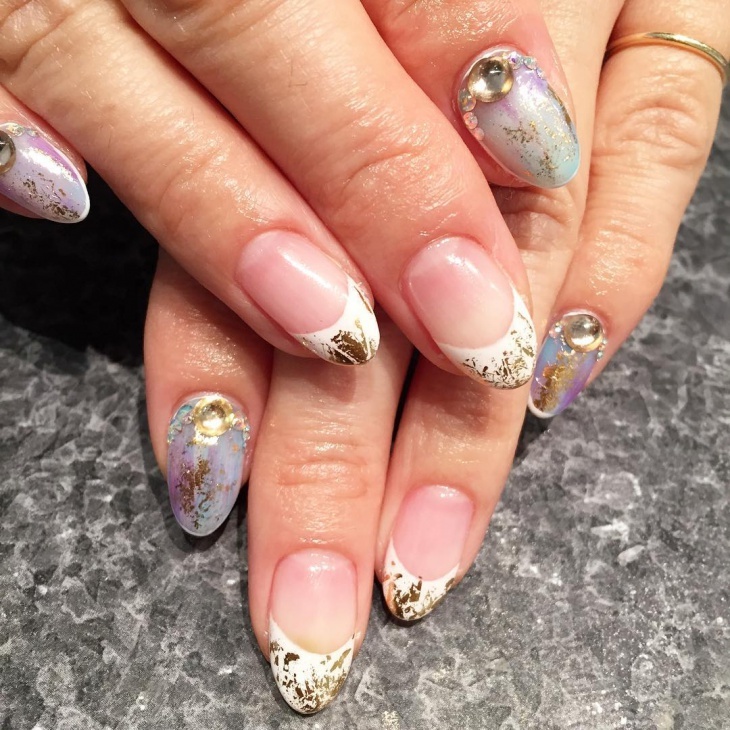 You can try this nail art on manicured nails which will make your French tips look pristine. 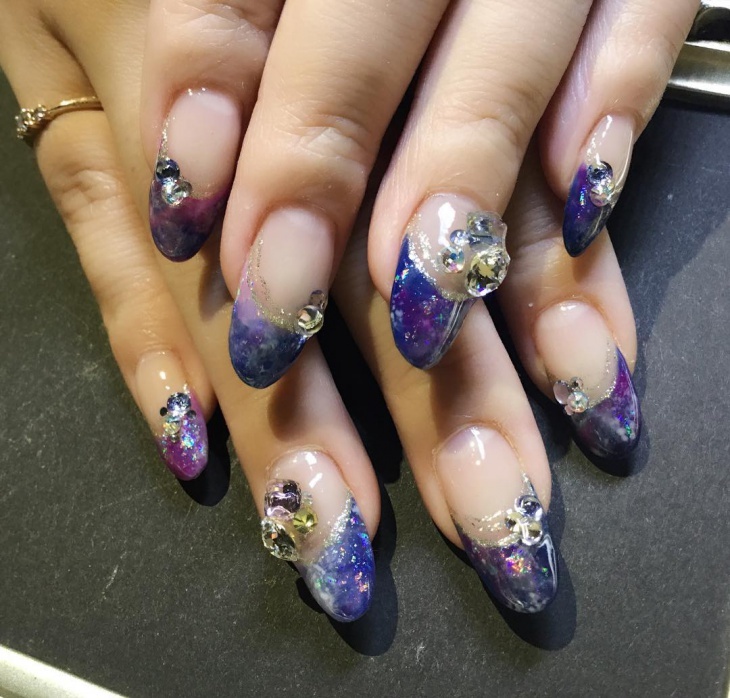 This purple rhinestone nails art uses gloss and glitter copiously which brings about such a glamorous effect. Use vibrant purple paint and coat it with gloss before topping it up with stones. 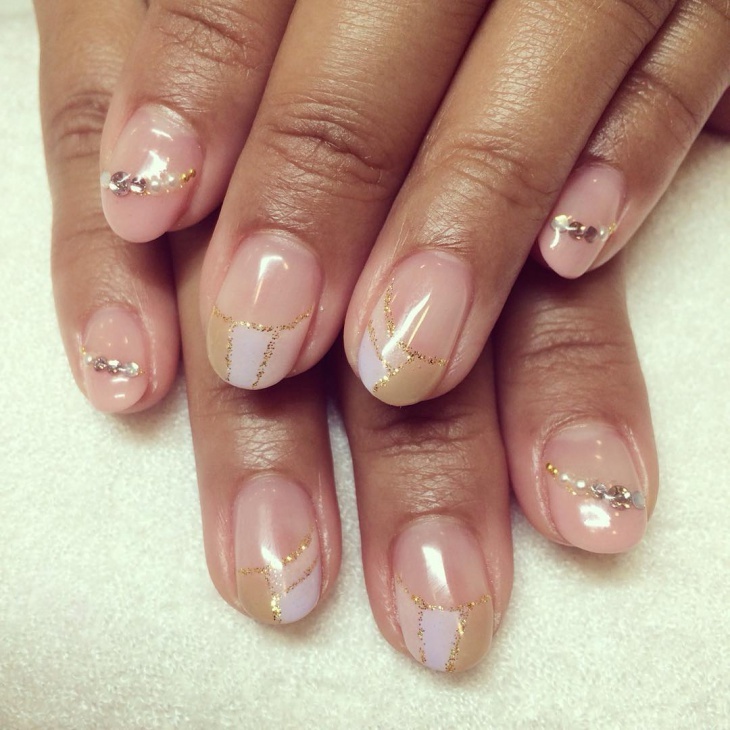 This artsy French tip nail art looks elegant and beautiful at the same time. 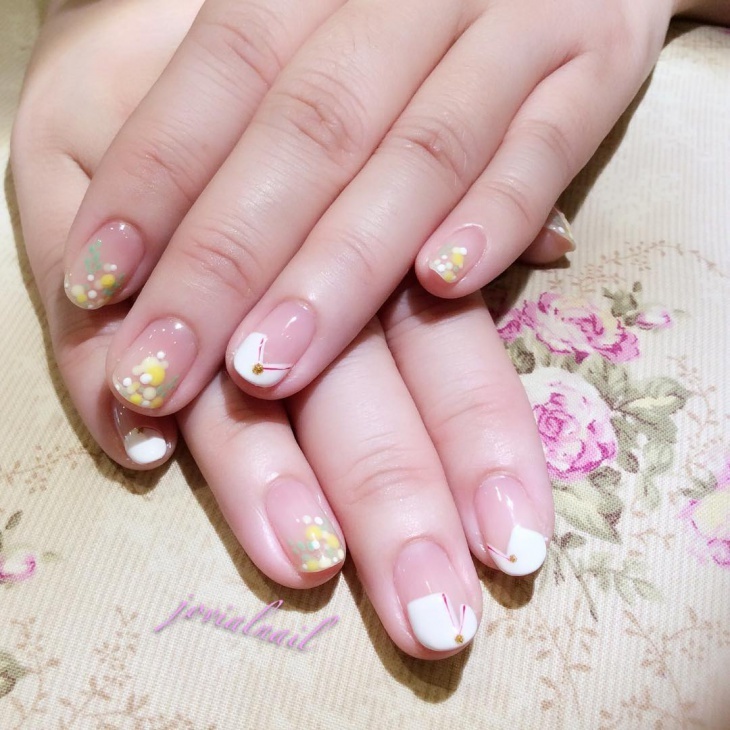 With cute little flowers complemented with white stones in the centre, this gel nail art is truly charming. 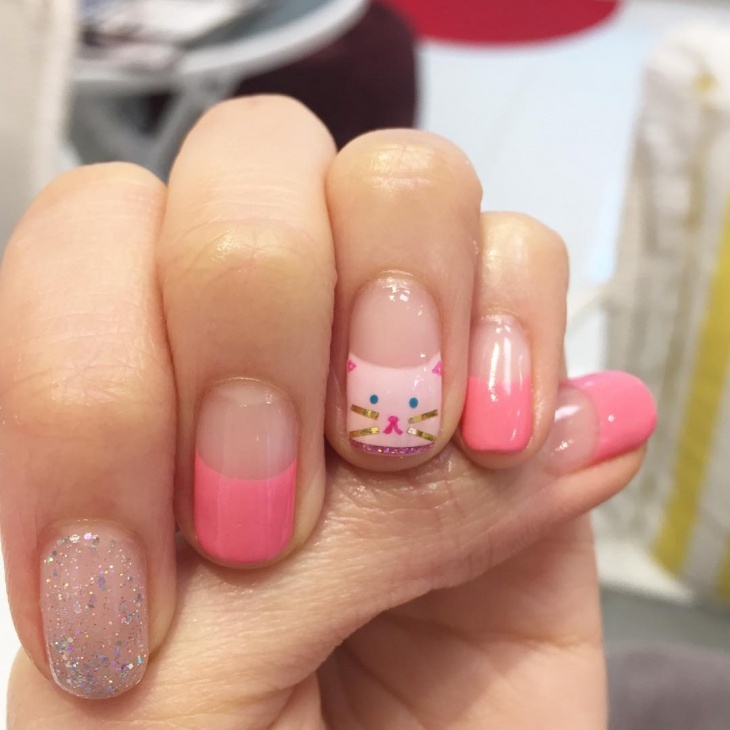 Every girl loves both Hello Kitty and the pink hue which is what makes this nail art a treat for the eyes, You can try this cute little design at home and beautify your nails. 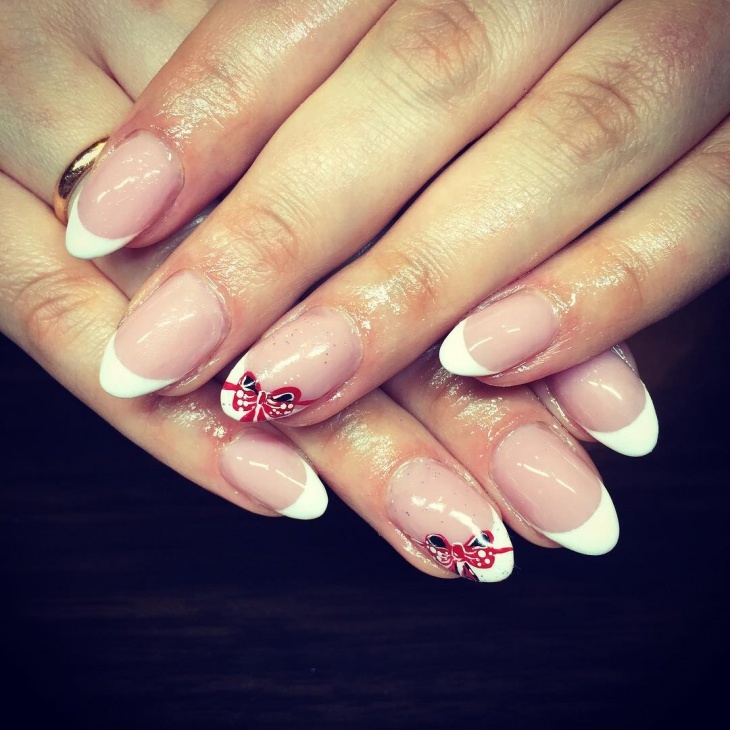 Draw a cute and endearing red butterfly on your French tip nails or create metallic nails with gel nail paint which will have a glowing effect on your French tips. The first step involves snipping the nails to form a nice shape that gives the edges a distinct look. 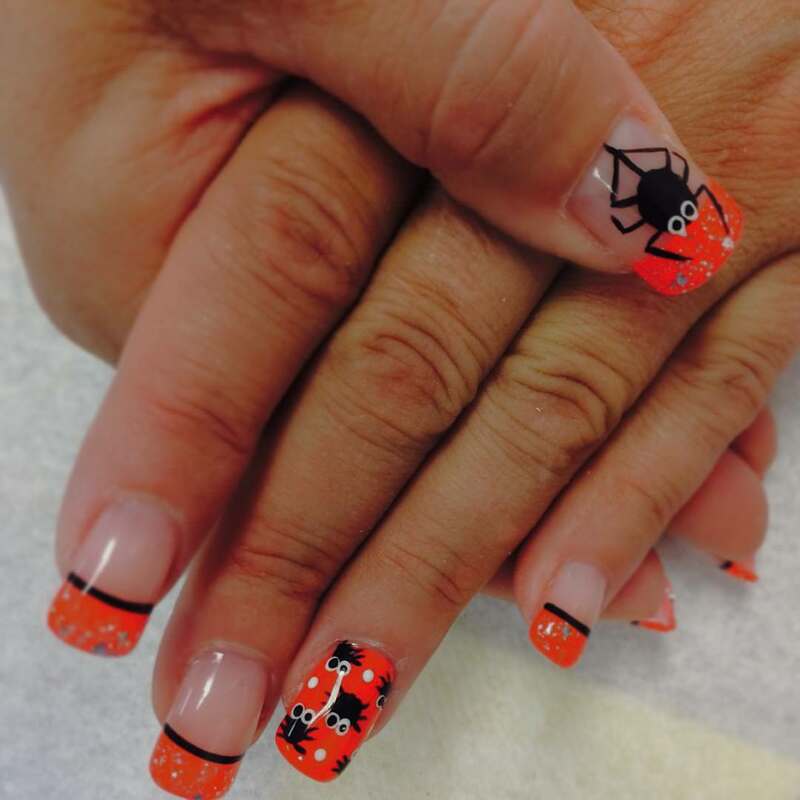 Round end or flat end is the recommended shape that the nails are to be snipped to. A thin paint of gloss is to be applied next which gives a pinkish appearance to the nail. A thin brush would help in painting the top edge red and after drying add the black colour to highlight the red in contrast. The base is ready and now it is a question of adding some funky look.